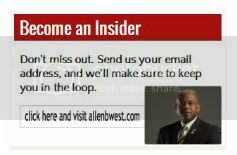 This entry was posted in Islam/Sharia Issues, Israel and tagged @allenwestrepub, Allen West, allenwestrepublic.com, Barack Obama, Benjamin Netanyahu, Col Allen West, David Ignatius, Iran, Islam, Israel, LTC Allen West, Maccabees, Middle East, Netanyahu, Obama, Sharia Law. Bookmark the permalink. It has never made sense to me the reasoning American Jews support Obama. I wish I had the answer. They have liberals too. The snowflakes are surprising and can be directed by a stroke to the right or left or down. It’s a bit “dizzy-making” but interesting. I wish Netanyahu would take on all the BAD GUYS. I would venture to say many Americans would come to aid Israel. Maybe we need the snowflakes…to relax us while we have to continue to read this horrible garbage every single day. Netanyahu? The man is stronger than dirt! He amazes me. Israel is such a small country in size sandwiched on all borders by hostile Muslims who want Israel wiped off the face of the map. Netanyahu’s response is well warranted. Him an Obama have never seen eye to eye, and Israel will never back down from their belief’s. They will strike Iran. Please start reporting on the comments and articles presented (past and present) on the Shoebat.com site. We need to get this information spread nationwide. Well,…if the CHRISTIANS stand up for Israel the way they have “stood up” for their black brothers & sisters in Africa, then Bibi had best be very worried indeed. It seems to be open season STILL, after decades, on the “infidels” in Africa,…and the Moos have all the tags. I am sorry, but I am disgusted by genocides continuing on and on, and on. What do the pastors do? Crickets,…right,…I understand. This Irish type, Texas whiteboy is just alittle miffed here. You must always remember we have Muslim/Islamist/Marxist thinking President. http://youtu.be/NR2xQPdF9zc this audio by an X CIA agent spells it out for all to hear. Set some time aside, 1 hr. I promise it is worth you listening to and to share with many.